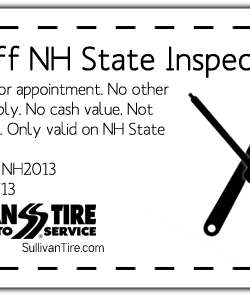 In the state of New Hampshire it is important to have a state inspection for your vehicle. Let’s face it, an inspection costs you money so why not use a printable coupon? 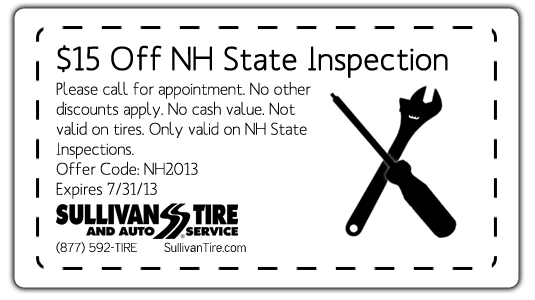 Eas the cost a little with this NH State Inspection Coupon, you can get $15 off NH State Inspection! Go to your next car inspection to Sullivan’s Tire and Auto Service so you can save some cash on your next New Hampshire auto inspection.